We optimized a spiral sequence for dual-echo cardiac gating applied to cervical spine fMRI. Dual-echo obviates dependency on variable initial longitudinal magnetization that would, otherwise, require T1 correction. Spiral acquisition allows short echo time and readout duration which maximizes SNR and BOLD contrast. Our technique improves tSNR and fMRI activation when compared with ungated sequence. The preferred echo-time (TE) used in most spin-echo EPI (SE-EPI) fMRI studies is approximately the tissue T2 value (65–100ms at 3 T). In this study, we use a hypercapnia paradigm with SE-EPI and three metrics of BOLD-sensitivity to model the TE that maximizes BOLD detection at 3 T. We concluded that while the maximal absolute BOLD contrast occurs near tissue T2 (~75ms), a TE of 55ms both maximizes tissue CNR and minimizes BOLD effects from non-neuronal sources. Field-mapping techniques using a reference scan allow accurate distortion correction of EPI data. 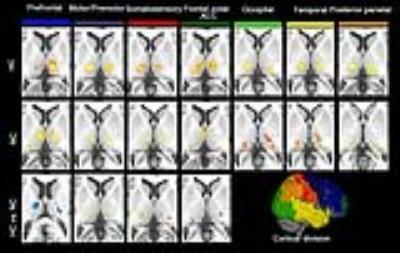 However, due to the strong B0 dependency with head motion and other physiological artefacts in fMRI acquisitions, the reference field-map does not adequately correct for dynamic non-linear changes in image intensity. In this work we show the feasibility of a method to map temporal variations of the B0-field at 7 Tesla, using a high-resolution Multi-echo EPI sequence, acquiring three echo-modules with reverse phase-encoding direction on the second echo. 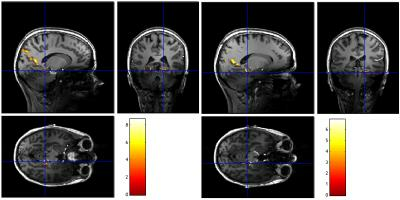 The robustness of the method was tested during an fMRI acquisition with visual presentation of faces. Conventional single-shot Echo Planar Imaging (EPI) protocols used by fMRI studies suffer from geometric distortion occurring in the phase-encoding direction. Ultrahigh field (>3T), high-resolution fMRI using thin slices requires decrease of the slice-encoding bandwidth, which may lead to the additional geometric distortions and “slice bending” in the slice-encoding direction. Here we use gradient-echo (GRE) EPI sequence that allows the polarity of the slice-select gradient to be flipped between positive and negative values to demonstrate this effect and to enable the application of FSL’s topup to perform distortion correction. This correction will further improve geometric alignment of the EPI data with anatomical reference data used in fMRI studies. 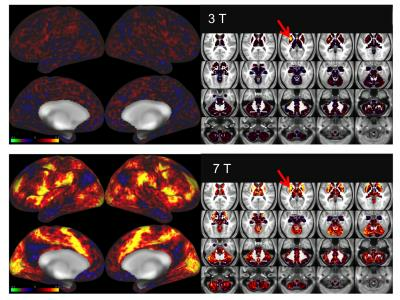 Simultaneous-multislice (SMS) has significantly improved fMRI acquisition due to its increase in SNR efficiency. 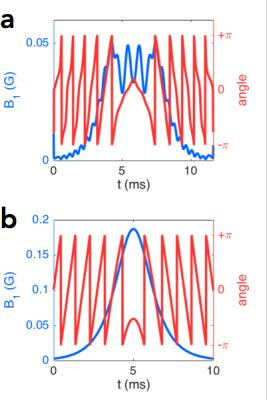 However, SMS requires parallel-imaging in the slice-direction, which may be inapplicable due to the scarcity of receiver-coils with adequate sensitivity in the slice-direction. Hence, we propose the POMP-EPI method, which accelerates fMRI acquisition without using parallel-imaging. POMP-EPI works by using Gz-gradient blips in an EPI sequence to shift each of the simultaneously excited slices into different regions of an extended FOV, such that no aliasing occurs, resulting in simple reconstruction of images, shorter TRs, and increased SNR efficiency. This work is a formal comparison between different echo acquisitions (3 and 4 echo) for the use with multi-echo independent component analysis de-noising of resting-state functional MRI data. We look to evaluate and determine the optimal acquisition required for de-noising of resting state data which is often plagued with artifacts and noise. High-resolution semi-adiabatic spin-echo fMRI at 7T. 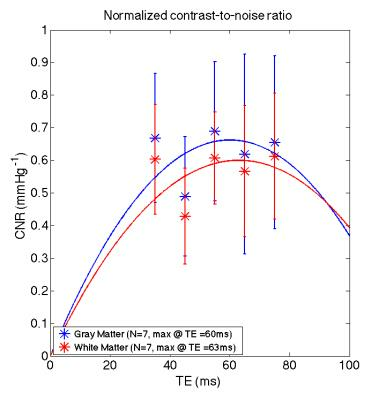 Spin-echo fMRI provides greater functional specificity than gradient-echo fMRI, but suffers from lower sensitivity. At higher field strengths, the spin-echo signal contribution from smaller capillaries, closer to the site of neural activity, increases. A major challenge of MRI at high field strengths, however, is increased B1 inhomogeneity, which can impact the performance of RF pulses, in particular refocusing pulses. Here, we use an adiabatic refocusing pulse and a matched-phase excitation pulse to perform high-resolution spin-echo fMRI at 7T. We compare the results to a similar gradient-echo acquisition, and show sharper activation better localized to gray matter in the spin-echo results. Simultaneous brain and spinal cord fMRI would be beneficial for studying the nervous system, but is challenging due to the poor B0 homogeneity and small size of the spinal cord. Here, we used dynamic shimming and reduced FOV imaging to address these issues. 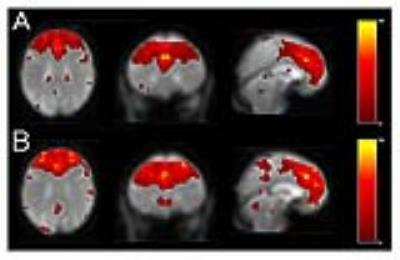 We obtained improved T2*-weighted images of brain and spinal cord with high clarity. We validated the method for fMRI applications using an fMRI experiment with a fist-clenching task, in which we obtained activation in all regions expected to be involved in the task, including the motor cortices, cerebellum, and C6-C8 spinal cord region. fMRI with high spatial resolution is beneficial for studies in psychology and neuroscience, but is limited by various factors such as prolonged imaging time and low signal-to-noise ratio. In this work, we combined Dual-TRACER method with SLIDER technique to obtain up to 1mm isotropic fMRI image, while maintaining temporal resolution comparable with conventional acquisition. Using the proposed method, finger somatotopy maps were successfully located on a 3T scanner. Recently, more fMRI studies are aiming to assess the role of small anatomical regions of the brain in cognitive processes which requires sub-millimiter voxel resolution. At high resolution rigid body motion during the acquisition plays a significant role. The aim of this study is to assess the potential benefits of correcting for subject motion introduced distortions and image degradation prospectively in fMRI studies. This study demonstrates that prospective motion correction increases tSNR and therefore increases sensitivity. These results increment the potential applications of fMRI to unveil, more accurately, the role of smaller parts of the brain in different cognitive processes. 3D-EPI is beneficial for real-time fMRI applications because the acquisition can be accelerated in both the in-plane and through-plane phase-encoded directions significantly increasing temporal resolution. Fully-sampled reference data are required in order to map coil sensitivities and unfold the aliased images that result. Acquiring these data with a segmented EPI readout matches the EPI-related distortions and dropouts between the un-accelerated reference data and the accelerated fMRI data. 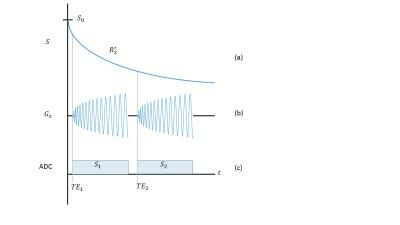 However, systematic differences in eddy-current-related phase between the segments can introduce errors during frequency offset correction (employed to correct for slow frequency drifts) unless accounted for. Here we present a simple correction scheme that greatly improves the tSNR of the time series. As functional analyses move toward finer detail and higher resolution, sources of noise that were nuisances are now becoming more significant. While noise removal is well studied in lower-resolution, gradient echo BOLD-weighted imaging, it is not as well understood in high resolution VASO. 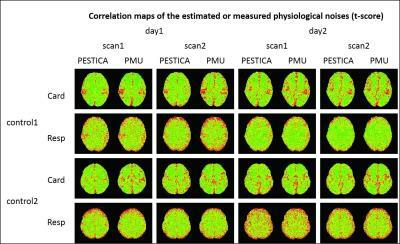 We examine the efficacy of physiological noise cleaning methods that are commonly used in many fMRI studies. Mu opioid receptors (MORs) mediate the strong analgesic and rewarding effects of morphine. 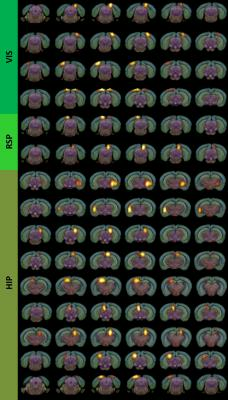 We used non-invasive imaging fMRI in wild-type and MOR knockout mice to assess MOR-dependent effects at the scale of the whole brain. Here, we present striatum seed-based signatures identified by BOLD activation map, functional connectivity and directionality. We identified MOR-specific activation of the striatum between 2 and 7 minutes after morphine administration. 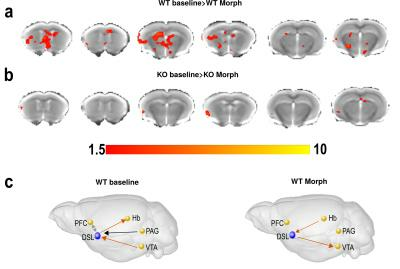 Furthermore, during this time interval, the brain connectivity was altered by morphine in wild type but not mutant mice. This is the first reported on-target morphine activation signature in the striatum of live animals. 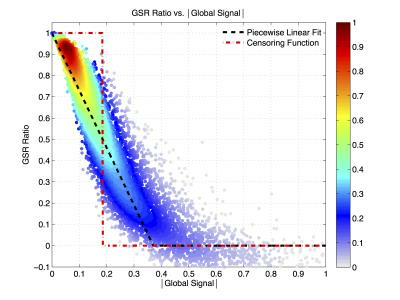 Global signal regression (GSR) is a controversial preprocessing method in resting-state fMRI. 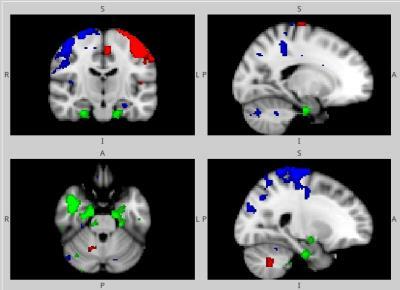 It has been claimed that the process can introduce artifactual anti-correlations in resting-state connectivity maps. However, a consensus regarding its use has been lacking, due in part to the difficulty in understanding its effects. We show that GSR can be well approximated by a temporal downweighting of the voxel time series, where the weighting factor is a function of the global signal magnitude and is uniform across space. This helps address the concerns about GSR and provides a novel framework for understanding its effects on resting-state data. Although previous studies have tried to combine diffusion tensor imaging (DTI) and resting-state functional magnetic resonance imaging (rs-fMRI) in clinic studies, they only use rs-fMRI for gray matter and DTI for white matter pathways. In this study, DTI and rs-fMRI were leveraged for conjoint analysis of structural and functional connectivity in white matter. 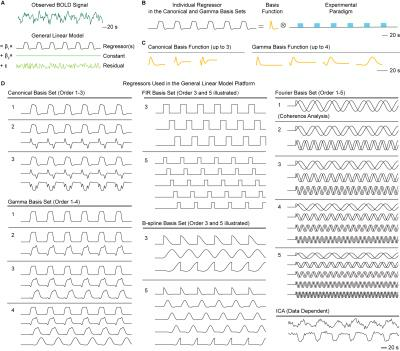 The results showed that in temporal lobe epilepsy patients, there was an increased functional fractional anisotropy in contralateral fiber bundles, which were accompanied by increases in mean diffusivity in ipsilateral bundles. This reflects complex interactions between disease evolution and compensatory adaption. White matter functional MRI has been successfully demonstrated in studies using high-field scanners and customized sequences. In the current study, we demonstrated that conventional GRE EPI using 3T MRI replicated white matter activation in the corpus callosum at both the group and individual levels (61.5% of individuals). Importantly, hemodynamic response functions (HRF) using delayed-onset improved sensitivity to white matter activation over the canonical HRF developed from gray matter activity. The results suggest that white matter fMRI studies, which are increasingly reported in the literature, benefit significantly from optimization in acquisition and analysis methods. This is the first study to examine differences in spontaneous neural activity between GD patients and healthy controls. Our results indicate that decreased of neural activity in motor area; increased neural activity in the olfaction-, vision- and algesthesia -related structures; dysfunction of neural activity in emotion- , recognition- and speech- related structures and cerebellum. These results promote a further understanding of underlying neurophysiological mechanisms in the intrinsic brain of GD type I, which will aid in the development of treatment plans for GD type I patients that address both physical and psychological concern and preventing neurological disease in early stage. High-resolution fMRI data enables strategies to improve spatial specificity of the measured fMRI activations through anatomically-informed sampling. Here we demonstrate that cortical surface-based smoothing of high-resolution data can improve the specificity of fMRI activations by simultaneously canceling thermal noise through spatial averaging while avoiding physiological noise contamination from superficial CSF and signal dilution from subjacent white matter. By combining both tangential and radial smoothing using our surface-based analysis framework, specificity of responses to a breathold challenge can be similar in high-resolution data natively sampled at 1.1 mm iso. and unsmoothed data at a conventional resolution of 3.0 mm iso. 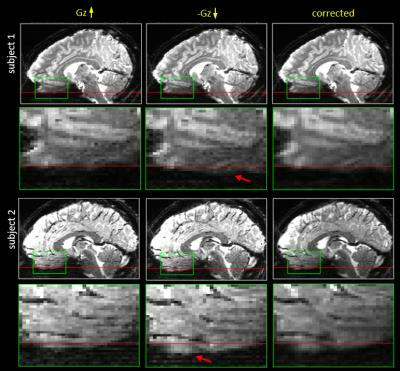 In resting-state fMRI, global signal regression (GSR), global signal subtraction (GSS) and global signal normalization (GSN) are widely used nuisance removal methods. So far these techniques have been treated as distinct operations and the relation between them has not been clearly described. In this paper, we mathematically and empirically show that GSS and GSN are nearly identical processes in resting-state fMRI. 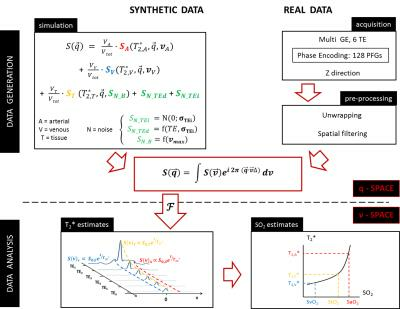 We further show that in terms of resting-state functional connectivity maps, GSS and hence GSN are similar processes to GSR when considering seed time courses that have a good fit to the global signal time course. Rates of extreme-prematurity are increasing worldwide. Neuroimaging studies allow us to investigate the underlying tissue substrate of the broader neuropsychological differences observed in preterm cohorts; but the long-term neuroimaging phenotype of extremely-preterm adolescents is relatively unknown. 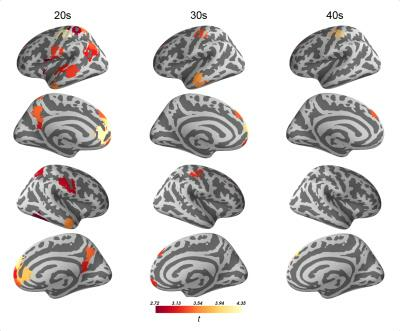 Here we investigate resting-state functional MRI to establish if there is a variability in the pattern of functional networks in extremely-preterm born 19 year-olds relative to a group of their term-born peers. Improper selection of analysis methods can lead to significant errors when analyzing fMRI data with heterogeneous BOLD responses. Here, we used rodent optogenetic fMRI data and simulations to investigate different analysis methods’ detection and characterization performance. Our results show that, in the presence of heterogeneous BOLD responses, conventionally used GLM with a canonical basis set leads to considerable errors, while the gamma, finite impulse response, B-spline, and Fourier basis sets show robust performance. Optimal resolution for searchlight classification of BOLD fMRI data. 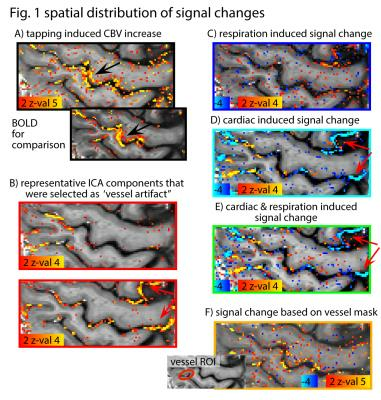 Information-theoretic approaches to BOLD fMRI analysis, like the Searchlight method for multivariate pattern analysis (MVPA), suggest that distinctive local patterns of BOLD signal on a spatial scale of millimeters carry information that allows the classification or decoding of perceptual stimuli. In this study high-resolution (1.2mm) BOLD fMRI experiments at 7T combined with naturalistic movie stimuli reveal that Searchlight decoding primarily relies on a neurogenic BOLD signal that is spatially smooth, unlike the accompanying physiological artifacts. 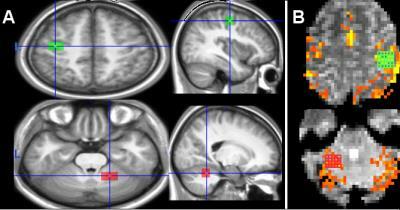 As a result the optimal fMRI resolution peaks between 2 and 4mm, a voxel size well above the technical limits of fMRI. We propose that the diversity of distinct functional patterns of the brain can be quantified by the variance explained by the first few principal components of regional voxel functional imaging signals. We report that propofol sedation is associated with a global reduction of repertoire of functional patterns. 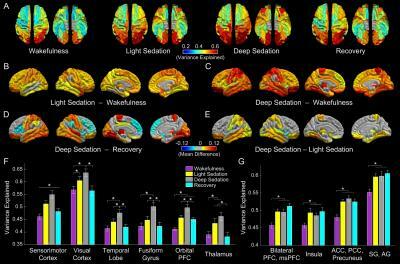 While sensory-processing-related and high-order cognitive-processing-related brain regions both showed a reduction during propofol sedation, it was the changes in the sensory-processing-related regions that correlated the loss and return of consciousness. The findings provided important insights into anesthetic modulation of different neuronal systems and the neural correlates of consciousness at the systems level. The progressive decline in cognitive abilities occurred in the early stage of Alzheimer’s disease (AD) is often difficult to be distinguished from the symptoms of mild cognitive impairment (MCI). This study incorporated graph theoretical analysis and machine learning approach to investigate the alterations of brain functional network in AD. Statistical approach demonstrated regions with significantly altered network characteristics, which were also reported to be linked to AD in previous studies. Machine learning approach using TensorFlow also showcases the significant discriminative power of the brain network measures. Future work includes incorporation of other type of network measures, behavior and biochemical assessments, and more complex deep learning models. This study is aim to assess ability of arterial spin labeling technique(ASL) and multi-phase enhanced magnetic resonance (MCE-MR) of evaluate renal perfusion in different ages population with normal renal function by 1.5T MRI. Meanwhile, to evaluate difference between ASL and MCE-MR of renal perfusion. It has been recently reported that the spatio-temporal correlation of white matter BOLD signals in resting-state functional MRI (rs-fMRI) can be captured using functional correlation tensors (FCTs). FCTs exhibit anisotropy information similar to diffusion tensor imaging (DTI). In this work, we employ a patch-based strategy to improve the noise-robustness of FCTs. Then, we adopt regression forest to learn a mapping from FCTs to DTs. Testing using unseen images, the predicted DTs show high similarity with the actual DTs. This validates the fact that FCTs carries information that is highly correlated with DTs. A Multiband version of the SimPACE sequence was developed to validate multiband SLOMOCO motion correction method. With the increasing use of simultaneous multi-slice acquisition techniques to acquire fMRI data more efficiently, the traditional motion correction methods need to be modified or improved to better correct subject motion in fMRI. This preliminary study showed that multiband SLOMOCO can detect the outermost slice motion better than single-slice SLOMOCO. Multiband SimPACE is a promising sequence to further facilitate the improvement of motion correction methods including multiband SLOMOCO. Resting state fMRI is prone to a large range of factors affecting the acquired data and processing pipelines available, which can impact on the outcome of a study. This study assessed the similarity of time series taken from aCompCor outputs to global signal to assess the inclusion of a ‘proxy’ global signal and its effect on group-wise tests of default-mode connectivity. The first components of both white matter and CSF were highly correlated with global signal and regressing either global signal or aCompCor outputs altered group-comparisons of functional connectivity. Future studies should scrutinise and report their postprocessing pipelines clearly. Serial correlations of fMRI time series are altered at faster TRs (<1s) due to reduced signal to noise ratio per time frame. Thus, caution is advised when utilizing serial correlation models describing long TR (2~3s) conditions with fast acquisitions. 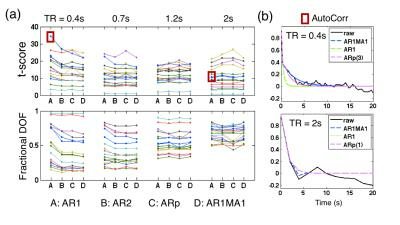 Here, we show that statistical models alternative to the commonly used first order auto-regressive (AR) model – AR2 and AR1moving-average(MA)1 model —can achieve reasonable fitting for short TR data and improve the accuracy of activation estimates. Potential model bias can be further reduced by low-pass filtering. Recent advances in MRI technique such as the multiband sequence have made fast sampling available up to 100-200 ms TR for whole brain acquisition. However, its usefulness is limited because there is not found any significant functional changes needed to be sampled with that short TR. In this study, we challenged to detect task-induced fast signals with the ultra-high temporal resolution imaging with 100 Hz sampling rates. 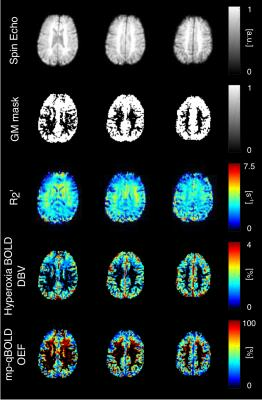 The benefits of ultra-high fMRI are maximized at high spatial resolutions with less physiological noise contribution. However, increasing the temporal resolution is often avoided at such high spatial resolutions due to limitations in the temporal signal-to-noise-ratio (tSNR). We investigated the effects of varying spatial and temporal resolutions on fMRI sensitivity measures at 7T, and their implications on an fMRI application, Brain-Computer-Interface (BCI). We demonstrate overall BOLD sensitivity increased with temporal resolution despite the tSNR decrease specifically at high-spatial resolution 7T-fMRI. We further demonstrate that this sensitivity increase also improved the accuracy of linear classifiers commonly used in BCIs. 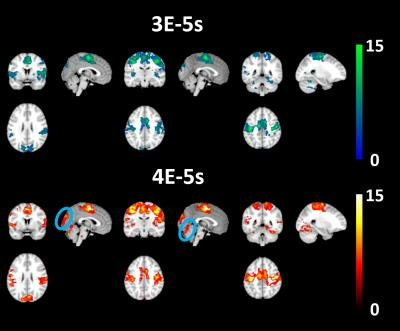 The overt voice response in fMRI is critical to aphasia neuroimaging studies. A commercially available active noise cancelling microphone makes this application possible. However, an automated measurement of the voice response time is not reliable due to remaining scanner noises. The incomplete noise cancellation is due to uneven slice time intervals in the EPI sequence. The remaining noise was reduced using a post-processing approach based on a previously published method that used a template of a reference noise. The response time was measured from the noise-reduced voice signal using an amplitude and duration threshold after an envelope filtering. Balanced Stead-State Free Precession (bSSFP) techniques have been proposed as an alternative to GE-EPI to address the problem of co-registration between functional/structural scans at high field. However, 3D imaging is suboptimal for localized fMRI applications, and result in distortions, blurring, and increased sensitivity to motion/physiological noise. 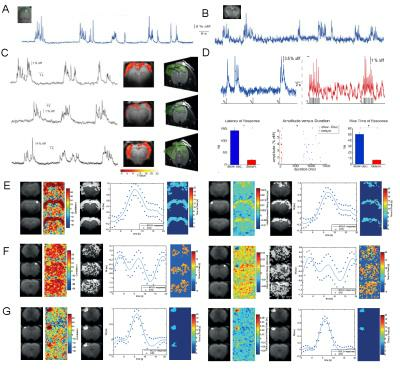 Here, we propose to use 2D-bSSFP and cartesian readouts and demonstrate that (i) bSSFP signal characteristics are preserved in a new steady-state, (ii) resting-state fMRI (RS-fMRI) can be performed with 2D-bSSFP, (iii) the 2D-bSSFP temporal SNR levels with that of 3D-bSSFP, resulting in - at least - equal fMRI performances at high field. 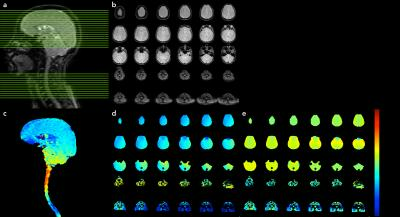 Gas-free calibration is an appealing new alternative for calibrated fMRI. Using simulations, we determined that estimates of the calibration parameter, M, obtained directly by estimating R2’ with asymmetric spin echo imaging, are negatively biased. This is due to imperfect spin echo refocusing of spins diffusing in the extravascular space. When we modelled the spin echo attenuation as a quadratic-exponential decay, the imperfect refocusing effects were accurately accounted for over intermediate to large vessel sizes. When tested in vivo, increases in M were observed when using the quadratic model, however, additional sources of decay also contributed to M.
There is increasing clinical interest in mapping cerebrovascular reactivity (CVR), the response of cerebral blood vessels to a carbon dioxide stimulus. However, the application of CVR mapping varies greatly across sites due to a lack of methodological standardisation. We established an international network of over 100 researchers and administered a survey to establish current practice. Guided by QIBA and UPICT protocols, we developed a framework for reaching consensus, and identified areas where agreement already exists. Immediate achievable targets and long-term aims for the CVR community are defined, with the ultimate goal of establishing CVR as a robust clinical imaging marker. 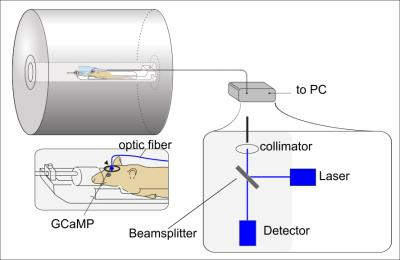 Optimizing parameters of electrical forepaw stimulation is necessary to investigate biophysical and molecular properties of fMRI signals. However stimulation parameters and anesthesia in mice are not well-defined. Here we introduced ketamine anesthesia in mice. Initially, forepaw stimulation frequency was refined with for CBV-weighted OIS experiments. To translate electrical stimulation parameters from OIS into BOLD fMRI, we tested two stimulation frequencies. Application of our sensory stimulus parameters evoked well-localized and robust BOLD fMRI signals in ketamine anesthetized mice. In clinical practice, for complex, recurrent disease, the same patient may need to use contrast agents repeatedly. However, the administration of multiple use of contrast-medium within a short period of time may put patients at risk1 .So, the aim of this work is to examine differences in rats’ potential kidney injury provoked by iodixanol with respect to different intervals and different times. By using fMRI we observed whether repeated intravenous injection of iodixanol at different time intervals could lead to aggravate kidney damage and then find the shortest time interval. Simultaneously, monitoring kidney damage by sNGAL and detecting the cause of renal injury by immunohistochemistry were also performed. Measurements of deoxygenated blood volume (DBV) via the streamlined-qBOLD technique are larger than typically reported in the literature, resulting in underestimation of oxygen extraction fraction (OEF). In this study we address this limitation by acquiring a separate measurement of DBV using the BOLD response to the administration of oxygen, which has been shown to be specifically sensitive to venous blood volume. By combining measurements of the reversible transverse relaxation rate, R2′, and DBV to measure OEF, we were able to show better agreement with whole brain OEF from the TRUST method than OEF measured with streamlined-qBOLD. In the brain, brief neural activity creates changes in local blood flow (CBF) and oxygen uptake (CMRO2). Functional magnetic resonance imaging (fMRI) can measure these changes as a blood oxygenation level dependent (BOLD) signal. The BOLD response to brief stimulations is often termed the hemodynamic response function (HRF). We recently proposed the Arterial Impulse model for the HRF based on a combination of underdamped CBF and CMRO2 responses. Here, we used arterial spin-labeling (ASL) to measure both the BOLD HRF and CBF, and then used our model to obtain estimates of the CMRO2time course. Brief cortical neural activity creates changes in local blood flow and oxygen uptake. Functional magnetic resonance imaging can measure this neurovascular coupling as a blood oxygen level dependent (BOLD) signal. The BOLD response to brief stimulation is termed the hemodynamic response function (HRF). We developed a computational model for the BOLD HRF, which predicts that the flow component of the HRF is a simple underdamped sinusoid. 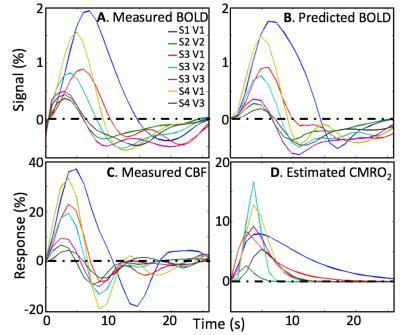 To test this prediction, we used arterial spin labeling to measure both CBF and BOLD responses in human cortex with high spatial and temporal resolution. Results confirm a significant flow undershoot in five subjects. 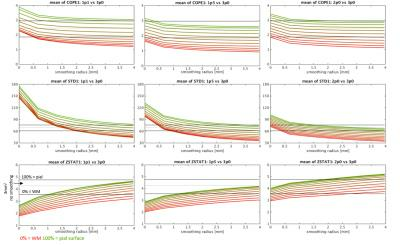 To better understand the dynamics of the BOLD response in terms of CBF, CMRO2, and deoxygenated blood volume, we used a combined normoxia/hyperoxia approach to untangle their relative contributions. This method was applied to both the positive activation response and the post-stimulus undershoot, the origins of which are still debated. A simple model of the BOLD response based on flow, metabolism, and volume, modified to include the effects of hyperoxia, was applied. For the origin of the undershoot, these data provide strong evidence for a CBF undershoot, moderate evidence for elevated CMRO2, and no evidence for elevated CBV (Balloon Model). Vagus nerve stimulation (VNS) is an electroceutical treatment for both brain and visceral organs disorders. To better understand its function in autonomic brain-body interaction, we applied electrical stimulation to the vagus nerve to perturb brain activity and visceral organ physiology. By simultaneously measuring the VNS-induced brain and physiological responses, we separated the afferent neuronal and efferent physiological effects of VNS on the blood oxygen level dependent functional magnetic resonance imaging responses and mapped part of the brain’s autonomic control networks modulated by VNS. This work offers a unique way to characterize the brain-activation profile of VNS with variable parameters. 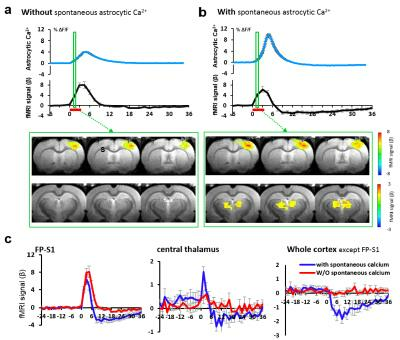 The astrocytic Ca2+ signal could be simultaneously acquired with either BOLD-fMRI or LFP signal in the rat cortex under anesthesia. Intrinsic astrocytic Ca2+ bursts spikes were detected in the cortex with suppressed spontaneous LFP and negative BOLD fMRI signal. These astrocytic Ca2+ spike events were different from the normal activity-evoked Ca2+ signal and also differentiate themselves from the lesion/stimulation-induced large-scale depolarization or spreading depression given the instantaneous whole-brain pattern and correlation with the thalamic LFP. The intrinsic astrocytic Ca2+ spike may mediate the brain states through the arousal thalamic pathway. Is sevoflurane a viable alternative anaesthetic for functional MRI in mice? In preclinical fMRI, the volatile anaesthetic isoflurane is valued for its ease of use and controllability, and is frequently applied to prevent anxiety and subject motion. Yet, isoflurane increases cerebral blood flow and particularly in mice it limits cerebrovascular response to neural activity, thus curtailing fMRI. Sevoflurane, a close relative to isoflurane, has been reported to be less vasodilatory. Hence, we evaluated whether sevoflurane could serve as an improved anaesthesia modality for fMRI in mice. Perfusion MRI however revealed high basal cerebral perfusion and restricted cerebrovascular reserve capacity in an acetazolamide-induced hypercapnic challenge akin to those previously reported for isoflurane. The BOLD signal in functional connectivity MRI(fcMRI) may be affected by non-neural factors, such as vascular function. In this study, we utilized a multiparametric mapping method to measure functional connectivity(FC) maps and cerebrovascular reactivity(CVR) concomitantly, and examined the relationship between these two indices in both healthy volunteers and patients with cerebrovascular disease. Significant correlations were found between FC and CVR across brain regions, suggesting that cerebrovascular function should be accounted for when using BOLD fcMRI to assess brain functions. 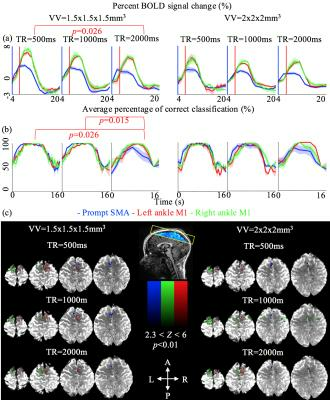 Concomitant acquisition of neural and vascular MRI may allow calibration/normalization of FC signal and more accurate estimation of brain functional connectivity. 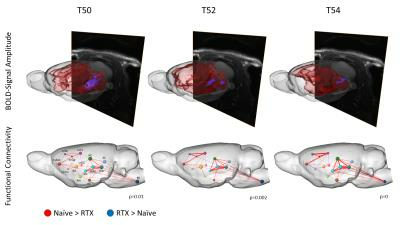 Analysis of neuro-functional connectivity derived from rs-fMRI and neuro-structural connectivity derived from DTI/Fiber Tracking might enable researchers to monitor and characterize physiological or drug induced neuro-modulation in the mouse brain. In our study we present a framework for the analysis on healthy mice with erythropoietin (EPO) treatment. Brain regions with pronounced neuro-modulation in histology also showed changes in neuro-functional and neuro-structural data. Cerebrovascular reactivity (CVR) mapping is a useful technique for stress testing the brain. However, clinical adoption of CVR mapping has so far been hindered by relatively long scan durations of 7-12mins. In this study we show that by using a sinusoidal carbon dioxide stimulus in place of a conventional block protocol, equivalent CVR maps can be produced in a much shorter scan duration of 3-5mins. fMRI in rodents has become a widely used technique with various applications in preclinical research. In this context, most studies are performed with anesthetized animals. Medetomidine evolves as a frequently used sedative but long term stability is limited -prolonged stability can be achieved by addition of Isoflurane. Several recent fMRI studies have used this combination. We evaluated the effects of this combination of anesthetics using a multimodal setup of BOLD fMRI and Ca2+ recordings. Even small addition of Isoflurane resulted in a significant decrease of neural (Ca2+) and hemodynamic (BOLD) responses to a distinct electrical stimulus. Alfaxalone is suggested to be an optimal anesthetic to examine brain injuries in experimental animals. However, little is known about its impact on neural activity in anesthetized subjects. In the present study, adult rhesus monkeys were used to examine its impact on functional connectivity. 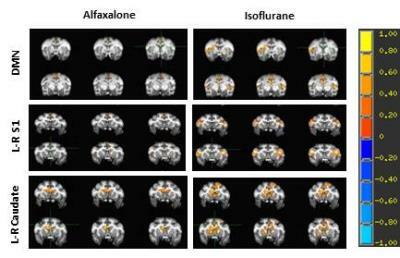 The results demonstrate that alfaxalone induces significantly reduced functional connectivity in the dominant default-mode network (DMN), inter-hemisphere connectivity in primary somatosensory cortex and caudate compared to isoflurane. The findings reveal that alfaxalone suppress neural activity more dramatically than light isoflurane anesthesia in monkeys, suggesting it is ideal for investigating anatomical and microstructural changes in animal models but not good for evaluating neuronal activity with fMRI. Isoflurane is widely used in biomedical research with the prolonged duration of administration up to several hours. However, the manner in which neurophysiology and functional connectivity are affected by the length of anesthesia remains poorly understood. 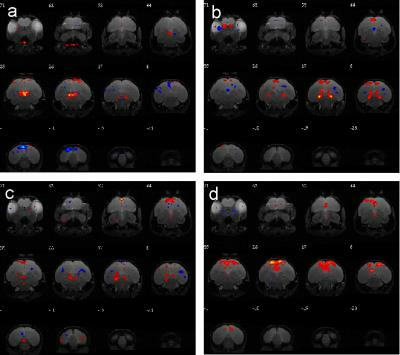 In the present study, cerebral blood flow (CBF) and default model network (DMN) were examined using arterial spin-labeling perfusion and resting state functional MRI techniques. The functional connectivity in the dominant DMN decreased substantially during 4-hour administration of isoflurane at any given dosage. CBF in most brain regions decreased at the low dose (0.89 %), but did not change markedly when higher doses of isoflurane (1.05 %, 1.19 %) were administrated. 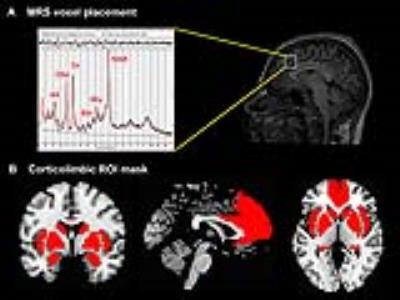 The study revealed dose-dependent effects of isoflurane on brain functionality and regional CBF during prolonged anesthesia administration of isoflurane, suggesting those effects should be considered in the experimental design or the interpretation of the outcome of related neuroimaging studies using anesthetized animals or humans. The potential for dual-calibrated fMRI to provide quantitative estimates of physiological parameters has been increasingly investigated. We present a novel analysis methodology to estimate capillary (CBVcap) and venous (CBVv) blood volumes. These parameter estimates are made in addition to standard physiological parameters (cerebral blood flow (CBF), oxygen extraction fraction (OEF), and cerebral metabolic rate of oxygen (CMRO2)). 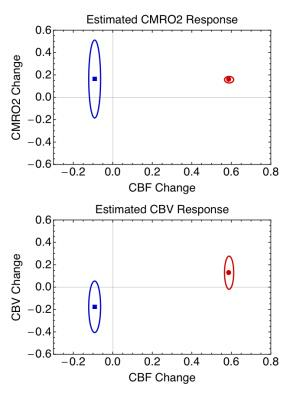 Maps of CBVcap demonstrate a marked reduction in the appearance of large vessels (compared to CBVv data) and show significant correlations with CBF and CMRO2. These findings suggest an important role for CBVcap for assessing cerebral metabolic function and neurovascular coupling. Medetomidine sedation is a common anesthetic regimen for rodent fMRI studies. However, depth and duration of the sedation may prove insufficient for MR imaging. Adding isoflurane is an efficient way to increase depth and duration of sedation. 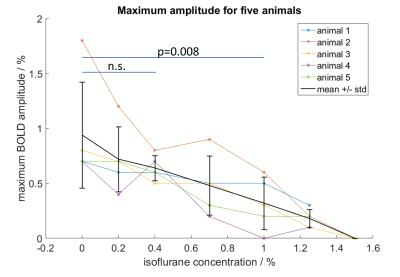 In rats we varied the concentration of additional isoflurane (0 - 1.5 %) and performed 1D line scanning upon electric forepaw stimulation to characterize the effect of increasing isoflurane on amplitude and onset of the BOLD response. While low concentrations did not significantly alter amplitudes or onsets, we found severely reduced amplitudes and delayed onsets for higher concentrations (> 0.7 %) of isoflurane. Awake rat fMRI has been growing in popularity in recent years because it eliminates confounds associated with the use of anesthesia. However, issues arising from animal restriction have not been completely identified or recognized by the research community. 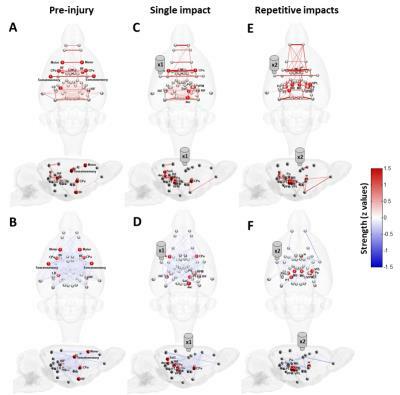 We conducted a pilot study on immobilization training for awake rat fMRI studies and provide some relevant experiences that highlight potential issues to be resolved. Mice resting state functional connectivity (FC) studies are highly attractive given the large number of existing murine models of neuropsychiatric disorders. Currently, most of mouse rs-fMRI studies are carried out under anesthesia, to limit motion and animal distress. Yet, anesthetics affect brain FC. Currently, no reliable awake mouse brain FC reference is available. We compared mouse brain rs-fMRI patterns under medetomidine or isoflurane anesthesia and paralleled the experiments with static 18FDG-PET exams, where the tracer biodistributions occurred under isoflurane, medetomidine anesthesia or in conscious state, reflecting the brain glucose metabolism, as indirect measures of neuronal activity. 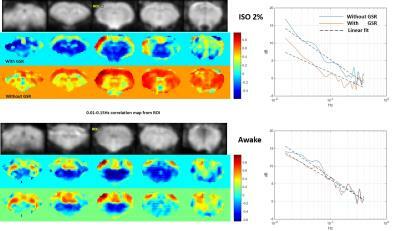 This study evaluated the effect of anesthesia on functional and metabolic brain connectivity, measured with simultaneous PET/MR using an awake monkey model. Results show a profound disruption of functional connectivity, effective connectivity, and novel approaches to metabolic connectivity following the administration of IV ketamine. Measurements of cerebral venous O2 saturation with MRI would enable use to estimate brain O2 consumption, a marker of brain activity. Here we propose a new method with this aim, that exploits a Fourier velocity encoding scheme combined with multi-echo acquisitions for estimating ? ?2* and then, through calibration curves, O2 saturation. Synthetic data are analysed and pilot data from resting state and visual stimulus acquisitions (two subjects) are reported. The new method is shown to supply plausible estimates of baseline levels and changes in O2 saturation in the sagittal sinus following stimulation. Brain plasticity is fascinating and important to our life. Radiation therapy can cause brain injury which may cover or progress, posing an ideal case to study brain plasticity. 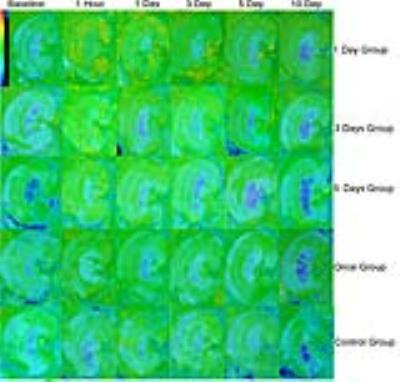 We used a rare and unique cohort of nasopharyngeal carcinoma patients with normal-appearing brains to study irradiation injury in its preclinical stage in context of brain functional and structural plasticity. We found an acute increase in local brain activity, followed by its extensive reduction; and significant functional connectivity loss in the default mode network. Such radiosensitive functional alterations were intriguingly found to be plastic. By contrast, a progressive late disrupted integrity of the related white matter was starting to be significant after one year at the far end. Early increased local brain functional activity was able to predict severe later brain necrosis through a bridge of brain connectome. These findings highlight the importance of brain connectomics in translational clinical study. Individuals infected with HIV frequently have HIV-associated neurocognitive disorders (HAND), despite effective plasma viral suppression. Various resting state networks studied with fMRI have been shown to be attenuated in HIV compared to seronegative controls. This study shows an increased connectivity in HIV subjects between the cerebellar vermis and bilateral insulae. 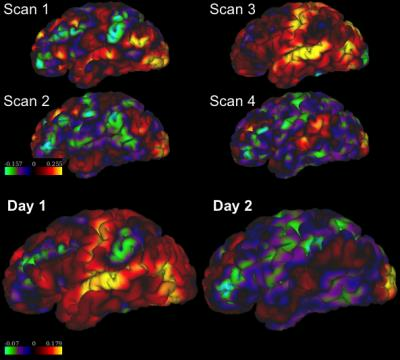 Using clinical correlates, we conclude that this increased connectivity may be due to decreased efficiency in functional connectivity in the HIV-infected brain. Brain functional parcellation has been shown to discern brain functional atlases in adults. 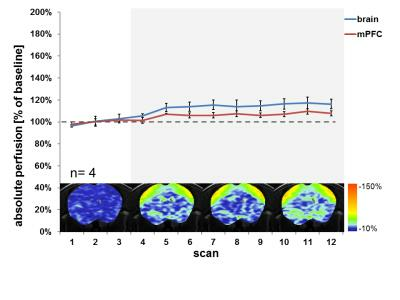 In this study, multigraph K-way clustering1 was employed to reveal temporal evaluation of brain funcitonal atlases in 71 healthy children longitudinally scanned at 1/3/6/9/12/18/24 months of age. Results revealed temporal evolution of brain functional networks during the first two years of life. Coupling of large-scale brain networks may underlie cognitive dysfunction in psychiatric disorders including addiction. However, whether the deficit of interactions among large-scale brain networks is associated with relapse behavior of heroin addiction remains unknown. This is the first neuroimaging study to assess coupling of large-scale networks that predict relapse in heroin addiction. 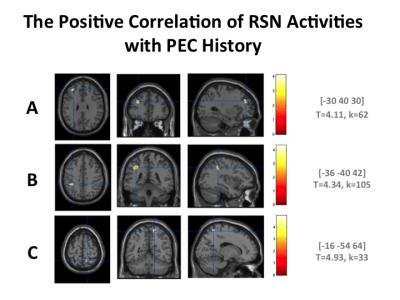 In this study, we utilized a resting-state functional connectivity method of functional magnetic resonance imaging and found that abnormally higher functional connectivity between the SN and DMN, and lower functional connectivity between the left ECN and DMN were associated with the relapse behavior in treated heroin-dependent patients. For baby connectome study, we propose a “developing triple network” model based on our findings from precious longitudinal infant resting-state fMRI data, which extends previous “triple network model” to 0-2 years old, a pivotal period which we have little knowledge on. Our developmental model provides future study with key information on early functional connectivity. We found medial prefrontal area is growing apart and its long-range FC is growing together at different speeds in the first 2 years. We, for the first time, found a novel early developmental pattern with both local and long-range FC increases at 6-9 months but decreases afterwards, indicating pivotal neural pruning mechanism from system neuroscience view point. Perinatal hypoxic-ischemic encephalopathy (HIE) is one of the most common causes of severe, long-term neurologic deficits in children. Up to 40% of infants with HIE who present minimal to no abnormality on structure MRI may still have manifest neurological deficits in later life. In this study, we hypothesize that functional connectivity (FC) of the brain in infants with HIE at term may be altered and that resting-state functional MRI (rs-fMRI) may provide deeper insights into the altered nature of the brain networks, especially the motor network and the thalamocortical network in infants with HIE. Precise localization of the epileptogenic zone and its delineation from eloquent cortex, are crucial for successful surgery. We propose analysis of macroscopic brain neural networks connectivity in the resting state and during the movement execution in patients with TLE for the possible epileptogenic macroscopic neural network localisation and motor cortex mapping. Our results show the concordant topography of the resting state network and the EEG epileptiform activity. Resting state fMRI could potentially depict the epileptogenic neural network in TLE which includes regions of temporal lobe and hippocampus. Motor network was shown to remain unaffected in TLE during interictal period. This study addresses the goal of reducing site-variance in the correlation values of multisite rs-fMRI data by correcting for site-specific EPI-related geometric distortions. Three geometric distortion correction methods (B0 fieldmap and image-based unwarping) were applied separately to a calibration dataset consisting of six subjects traveling to three sites. The change of the correlation values and their site-homogeneity was evaluated in dependency of the quantified geometric distortion correction values for six networks and all subjects. It could be shown that the distortion correction had no significant impact on the correlation values and no correlation between the two parameters was found. Functional connectivity of the thalamus could inform the potential efficacy of temporal resection in temporal lobe epilepsy. 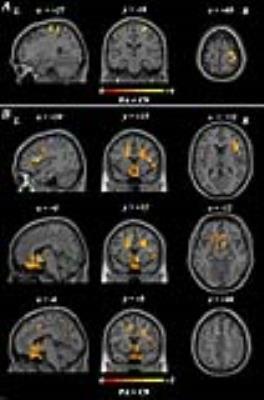 Diffusion and functional MRI was collected from 22 patients who underwent surgical treatment for temporal lobe epilepsy. The thalamus was segmented into six subregions based on diffusion tractography to six regions encompassing the entire cortex. Functional connectivity was calculated between each thalamic subregion and cortical region for each patient. Higher functional connectivity between the contralateral temporal-thalamic subregion and the cortex was associated with seizure recurrence after surgery. The hypothalamus plays a critical role in maintaining visceral homeostasis. 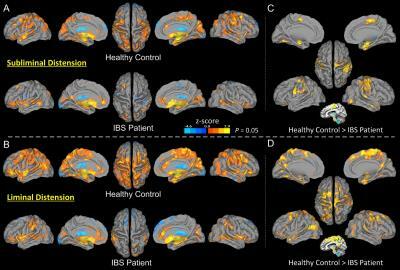 We evaluated, using functional imaging, hypothalamus functional connectivity in adolescent IBS patients and controls who received rectal distension stimulations. 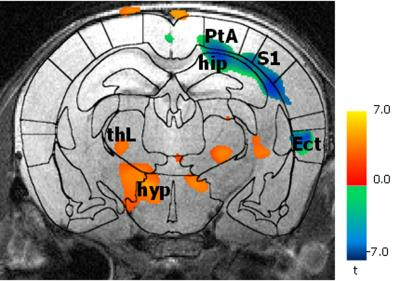 More extensive hypothalamus connectivity was observed in liminal than subliminal condition in controls, but not in IBS patients. Compared with controls, IBS patients showed significantly reduced hypothalamus connectivity in the bilateral prefrontal cortices, supplementary motor and premotor areas, bilateral sensorimotor cortex, and limbic subareas, which are specifically involved in homeostatic regulation. The findings support that reduced cortical and limbic modulations of hypothalamus functioning underlies disrupted visceral homeostasis in IBS patients. Many avian species go through circannual changes in reproductive organs. Seasonal changes are triggered by non-visual photostimulation, made possible by the existence of nuclei with containing opsin channels. Photoactivation occurs when photosensitive neurons are stimulated, resulting in a cascade of activity in the brain, which initiates gonadal growth. Photorefraction is on a time-scale much longer than an experiment. We used echo planar imaging fMRI with a laser for stimulation and performed independent component analysis on each phase (before, during, and after stimulation). Network activation patterns differ in each phase. The hippocampus, one of the most phylogenetically preserved structures in the human brain, has been a topic of interest to evolution theorists and cognitive neuroscientists alike. Malfunctions in the hippocampus are hallmark features in a number of psychiatric and neurological conditions, further amplifying interest. Little advancement has been made regarding the neurofunctional topography of the structure. We used high-field, high-resolution neuroimaging techniques to demonstrate convergent evidence on a new theory of hippocampal organization. Data from this project are expected to catalyze efforts in neuroscience and medicine to better understand hippocampal functioning and promote the identification of healthy and aberrant signaling. The DMN is shown to be highly active during resting state and is rapidly deactivated during externally directed tasks. However, it is unclear how demanding the task needs to be to switch the DMN out of the resting state mode. Aiming to answer this question we chose a visual oddball paradigm and assessed the functional connectivity of the DMN during resting state in a rest-task-rest design. The oddball paradigm demands very little cognitive resources and therefore we hypothesize that the DMN will not be altered in its connectivity pattern during post task resting state. Alcohol preferring and non-preferring rats were trained with two-bottle choice methods. The whole brain default mode network was acquired during different period of addiction training and after alcohol injection. 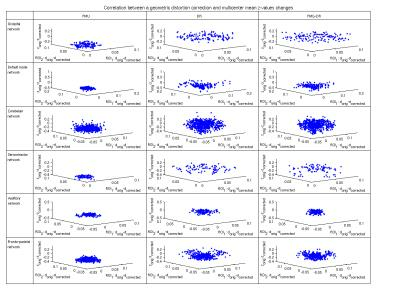 The correlation coefficients among 28 regions were calculated by mean-value of Pearson correlation. The changes of brain connections after alcohol consumption in different stage of alcohol addiction is significant different. Furthermore, some addiction or reward associated regions and new possible areas (NAc, Tu, VTA, IC, Hypo, SNC, Au, DB, Hipp, VLPO, etc.) showed difference during the training. Our findings could provide preliminary functional connection support of neurobiological circuits change. Due to improved medical techniques such as CT and radiotherapy todays children are more exposed to low-dose radiation than previous generations. However, little is known about the influence of low-dose radiation on the brain’s development. We hypothesize that altered functional connectivity of activated areas during pain processing can serve as a marker for disturbed brain development. In a mouse model we showed that functional connectivity during nociceptive stimulation after P10 irradiation is disrupted in cortical areas that mature postnatal. We could demonstrate that pain processing is influenced by low-dose irradiation which is in concordance with the brain’s developmental state. Cocaine applied in a “binge paradigm” induces a region-specific and persistent brain circuitry modulation. Our pre-clinical rodent study showed an increased Functional Connectivity at the level of the striatum and the cingulate cortex induced by cocaine injection. The effect was detectable 4 hours after administering cocaine and sustained for 24h. Current study measured the amplitude of low-frequency fluctuations (ALFF) and insular functional connectivity (FC) in Hepatitis C virus patients and compared with age and gender matched control using RESTplus software. HCV patients showed significantly reduced ALFF in the right insula. The right insular FC strength was lower in patients than control. Neuropsychological test scores were significantly lower in HCV patients. Changes in ALFF and FC provide new evidences of altered neuronal activity in HCV patients. We used resting state fMRI to evaluate changes in functional connectivity during migraine episodes, and the response to treatment. 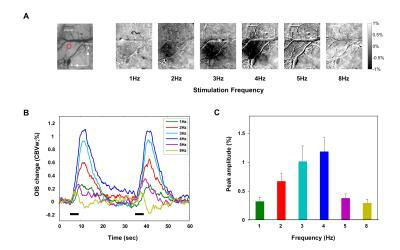 The results provide preliminary evidence for a change in functional connectivity in the DMN during migraine, and for the ability of serotonin agonists to restore resting state connectivity. We also identified key brain regions impacted by migraine and then normalized following sumatriptan. Youths with perinatally infected HIV survive longer with combination antiretroviral therapy, but remain at risk for poor cognitive outcomes. 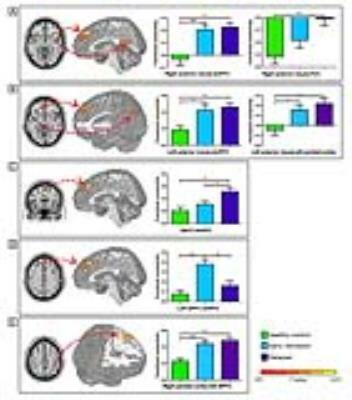 Since changes in cognitive function may be preceded by subtle changes in brain function, resting-state functional magnetic resonance imaging (rs-fMRI) may become useful in evaluating functional connectivity in these youths. 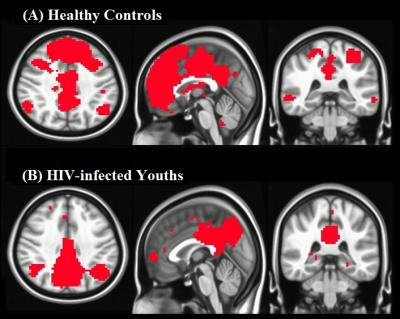 We evaluated alterations in brain functional connectivity in eight perinatally HIV-infected youths and eleven healthy controls. Results from this study demonstrate that, compared to normal subjects, the strength of the several networks connectivity including DMN, Dorsal Attention, Lateral Visual, were significantly decreased in several regions among perinatally HIV-infected youth. The detailed mechanisms, implications of these brain activities and networks exhibiting changes will require further investigation. Brain-Computer interfaces have been used for the rehabilitation of motor and cognitive functions. They can be used to train voluntary neural activity, leading to behavioral effects depending on the targeted brain areas. The aim of this study was to test the feasibility of achieving volitional control of M1-cerebellum functional connectivity with a real-time fMRI (Rt-fMRI) system and evaluates its influence in motor performance. Nine healthy subjects were trained in a protocol with visual feedback and motor imagery. The results indicate that voluntary self-regulation of cerebellum-M1 connectivity is feasible with Rt-fMRI, but the effects on motor performance need to be further studied. 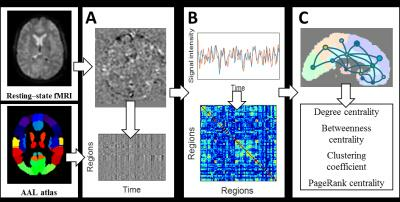 Spatio-temporal extent of spontaneous and sensory evoked neural network activity. 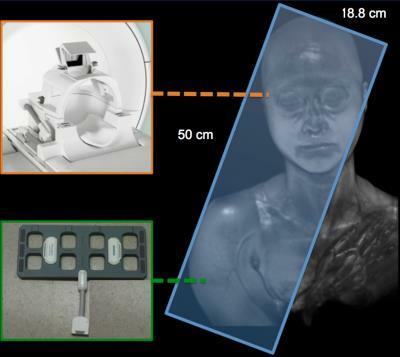 Preclinical functional Magnetic Resonance Imaging in rodents has become a vital research tool for observing functional network connectivity at rest or during sensory stimulation. There is an ongoing debate about the differential effects of anesthesia on cortical connectivity, since functional connectivity networks fluctuate depending on global brain state. 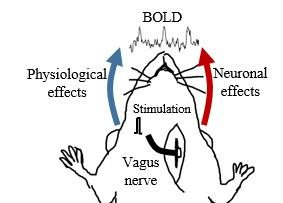 We analyzed the spontaneous and sensory evoked BOLD signal in rats during different network states induced by Isoflurane and Medetomidine anesthesia, finding them to lead to fundamentally different cortical connectivity. These results are crucial for interpreting rodent studies in the framework of translational resting state research including awake human data. We examine the relationship between functional brain networks and behaviour in individuals with autism from the Autism-Brain-Imaging-Data-Exchange. We find a difference in attention network strength between groups (autism vs. control) using an a priori defined network for high-attention . In addition, connectome based predictive modeling (CPM) successfully predicted inattention and communication scores. Finally, on a test group of autistic patients (not used in the CPM), we found network strengths to be more similar to individuals used the CPM with autism than controls. Together, these results indicate that connectivity may prove to be a valuable tool in the diagnosis and treatment of autistic individuals. Essential tremor (ET) is a common neurological disorder. It is often characterized by progressive tremor of the arms or hands during voluntary movements. Ablation of the ventralis intermedius nucleus (VIM) of thalamus appears to be an effective treatment for ET. However, little is known regarding changes in the brain networks among ET patients and even less regarding the network changes following the thalamotomy. This study used resting state fMRI to investigate the changes in functional connectivity (FC) in brain networks immediately after the thalamotomy and reveals reduced FC between the ablated VIM and the motor cortex and cerebellum. This study firstly tested adjunctive lithium therapy in HIV patients with HAND. 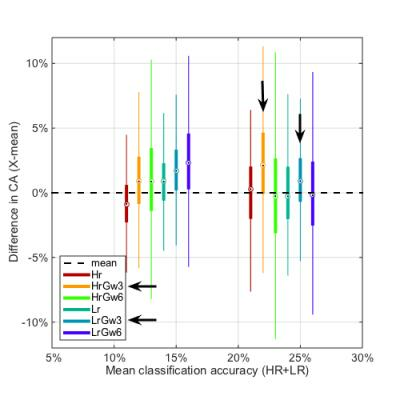 We examined the lithium effect using resting-state fMRI, and functional connectivity, amplitude of low-frequency fluctuation(ALFF) and fractional ALFF were calculated. 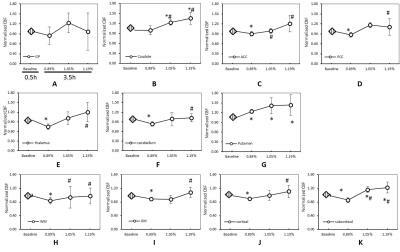 We found significantly decrease of low-frequency oscillation and functional connectivity in lithium-treated group compared to placebo group, while neurocognitive performance was not different between the two groups. 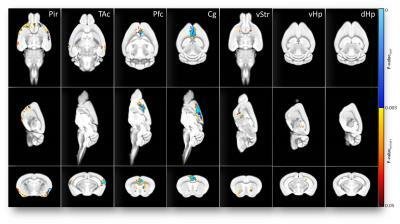 Resting state functional connectivity MRI was performed with neuropathic pain model mice.The functional network was constructed by temporal correlation analysis at the whole brain level based on the Allen brain atlas. Graph theoretical analysis was conducted to evaluate the feature of constructed networks. Compared with the intact model, degree and eigenvector centrality of neuropathic pain model showed a significant reduction in the primary somatosensory area. The clustering coefficient and local efficiency were significantly increased in the ACA. Significantly higher betweenness centrality was observed in the VPL. These results indicate that amount of information about connection to S1 was decreased. Neuropathic pain disrupt the pain matrix and the pain matrix that includes ACA and VPL may construct the complicated network. 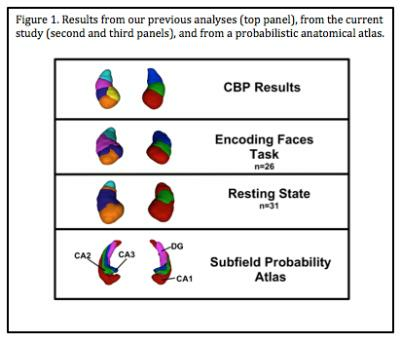 Integration of resting state functional connectivity MRI and graph theoretical analysis can evaluate the interactive complex networks of each region, not only existence or non-existence of activation region. We revisited the sertraline treatment effect on RSFC in drug-naïve MDD patients and evaluated the association between RSFC, ALFF and baseline CBF level. Twenty-four unmedicated MDD subjects were recruited and treated with sertraline for 6 weeks. Results showed negative correlation between HAM-D scores and striatum-MPFC RSFC. However, the therapeutic effect on RSFC was irrelevant to the CBF or ALFF levels, implying better temporal synchronizations from the neural basis. The potential of RSN to detect the early change of neuronal networks induced by short-term cognitive intervention was investigated by using a verbal training task to read short sentences aloud everyday for 4 weeks. Twenty community dwelling older adults participated in this study. Activation in the anterior SN was decreased after the training, suggesting optimization of salience processing to integrate visual information and language production. The SN may be potentially a biomarker to firstly reflect the change in response to cognitive interventions in older adults and this finding may be applied to optimize training protocols for each individual. This study aimed to explore the functional coupling between the central nervous system and the peripheral nervous system of upper limb. We established a novel imaging-platform to collect the functional images from human brain and upper limb simultaneously. This study disclosed the functional coupling between the peripheral nervous system of upper limb and the brain cortex and demonstrated that peripheral nervous system also involved in the regulation of brain cognitive function and related network changes. Here we describe subsequent work by the Human Connectome Project (HCP), taking the initial advancements obtained at 3 T and pushing spatial resolution even further at ultrahigh field strengths. To assess the impact of spatial resolution on the resultant detectability of resting state networks throughout the brain, we compare 7 T data acquired at various isotropic spatial resolutions (2 mm, 1.6 mm, 1.5 mm, 1.25 mm, and 0.9 mm) using the 2 mm 3 T HCP rfMRI data as baseline. 7 T functional networks show enhanced BOLD CNR, resulting in sharper, stronger, and more well defined spatial detail even at the group level. Pain is a vital danger signal, as it prevents the body from suffering burns by hot items. Using BOLD-fMRI, we evaluated the rat's brain response to increasing thermal stimuli to detect which brain structures are involved especially in the processing of nociceptive heat. Therefore, we eradicated selectively the nociceptive-specific TRPV1-expressing neurons via Resiniferatoxin-induced excitotoxicity. This missing nociceptive input from the periphery resulted in a widespread suppression of brain activity in most brain structures except some parts of the brainstem. Graphtheoretical network analysis revealed two distinct circuits of brain structures involved in the processing of noxious temperatures above 48°C. We assessed functional connectivity (FC) in the mouse brain following psilocybin administration. Conventional analysis using dual regression and reference spatial maps derived from independent component decomposition identified a decrease in FC within the ventral striatum network in animals administered with psilocybin relative to vehicle. Dopamine D1 and serotonin 5HT2a receptor gene expression as well as projection maps from the ventral tegmental area and dorsal raphe nuclei obtained from the Allen Brain Institute database were used as spatial references in a secondary dual regression analysis to disentangle the contribution of dopamine and serotonin systems to whole-brain functional connectivity changes. 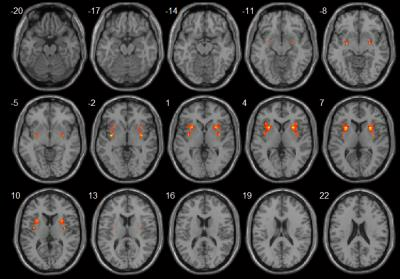 This preliminary study used voxel- mirrored homotopic connectivity (VMHC), a novel resting-state fMRI parameter to investigate inter-hemispheric functional activity changes in restless legs syndrome (RLS). Ten RLS patients and ten age- and gender-matched healthy controls were recruited for comparison. The RLS group showed increased VMHC in the amygdala, putamen and insula, as compared to normal controls. Increased VMHC in the insular cortex and putamen might reflect their functions in perception and motor control. Increased VMHC in the amygdalae could be relevant to the disturbed sleep at night, considering its primary role in the processing of memory and emotion. Although substantial efforts have been made to elucidate the neuronal basis of both refractory MDD (rMDD) and nonrefractory MDD (nrMDD), the results are inconsistant. We apply the resting-state dynamic functional connectivity (D-RSFC) to explore the divergence of neuroal basis between rMDD and nrMDD. Our results demonstrated that the D-RSFC method can well reveal the dysfunctional brain networks in the MDD. The prefrontal-limbic circuit is the most stable dysfunctional brain network in both MDD subtypes. Additionally, we speculate that the OFC-sgACC circuit, especially the frontal part of the left OFC-sgACC circuit, might be the biomarker for evaluating treatment response in MDD. In order to explore biomarkers to reflect the effects of long-term physical exercise (PE) on the activities in RSNs, the relationship among the history of participation in PE clubs, the activations in RSNs and the physical activity (PA) was investigated. The activation in the ACG was decreased depending on longer history of PE as well as higher PA indicated by IPAQ scales. These findings may reflect less demand for cognitive integration. It was suggested that both recovery and sedation of the activity in the RSNs against the age-related changes in brain activation may be the biomarker in healthy older adults. 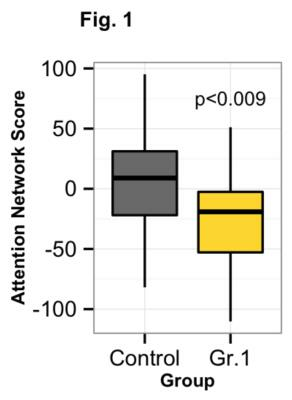 Attentional lapses have been shown to be associated with an altered connectivity and activation pattern of the default-mode network. To further our understanding of the relationship between resting-state connectivity pattern and task performance, we analyzed a multitask dataset including four mental tasks (rest, memory, video, and math). We computed whole-brain connectivity patterns using all volumes during rest (rs-FNC), and the dynamic functional network connectivity (dFNC) patterns during tasks with a sliding window method. We compared similarity between the rs-FNC pattern and dFNCs, which was correlated to the task performance and thus might be used as a cognitive biomarker. In this study, we replicated previous findings about spatially distinct thalamic correlations with cortical regions of interest. Using bi-directional functional analysis, we firstly clarified cortical-subcortical activity during hyperthermic condition by thalamocortical functional connectivity. Specifically, we found weakening connectivity of cortical fronto-polar/anterior cingulate cortex and prefrontal areas with the corresponding thalamic nuclei. On the contrary, the motor/premotor and somatosensory cortical subdivisions showed increased connectivity with thalamic nuclei. The thalamic pulvinar showed reduced connectivity with bilateral superior and middle temporal pole, but increased connectivity with bilateral middle and inferior temporal gyrus. In order to investigate gray matter cerebral blood flow (CBF) and CBF connectivity alterations in chronic stroke patients, 60 patients and 60 controls were recruited to undergo 3D ASL technique. The patients exhibited increased CBFs in contralesional SFG, thalamus and ITG, and decreased CBF in ipsilesional Post_CG. Further analysis showed decreased CBF connectivity in patients in ipsilesional Pre_CG, MFG and Msfg. Importantly, the patients exhibited disconnections between the SFG and MFG, mSFG, Pre_CG. Current results suggest that stroke-induced cognitive dysfunction may be a connectivity disorder from the perspective of CBF connectivity. We performed longitudinal behavioral readouts of pain and resting-state fMRI in a mouse model of chronic pain from breast cancer derived tibial bone metastases. The developmental trajectory of behavioral readouts was used to model the fMRI response to extract pain-specific functional connectivity changes during development of a chronic pain state. The specificity of these functional readouts was supported through inhibition of osteolytic activity, reducing the nociceptive input. Thereby, characteristic functional changes could be reduced and in some regions prevented. These results emphasize the specificity of the functional readouts for developing chronic pain and could be used to evaluate novel treatments. 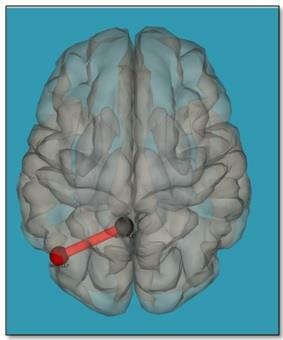 Is resting-state fMRI guided brain target localization for TMS reliable and reproducible? Transcranial magnetic stimulation (TMS) is a noninvasive treatment approach for major depressive disorder (MDD). A recently proposed method1 is to stimulate a sub-region in the left dorsolateral prefrontal cortex (DLPFC) that is most anti-correlated with the subgenual cingulate (SGC) as obtained from resting-state functional MRI (rsfMRI). To test the reliability of this approach, we examined 100 data sets from the Human Connectome Project (HCP)5 with each subject scanned 4 times on two different days. 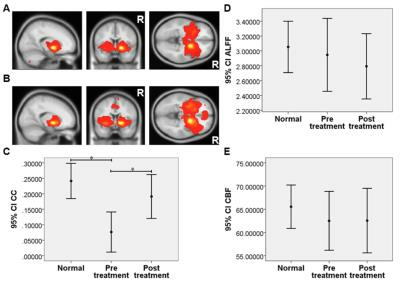 We found large variability in the inter-scan rsfMRI-guided target for each subject, which can significantly reduce the efficacy of TMS therapy in MDD. FMRI has been widely used to assess changes in brain activity evoked by innocuous and noxious stimuli. However, stimulus-evoked fMRI (se-fMRI) measurements in mice have turned out challenging, and it is still under investigation whether and under which conditions se-fMRI applications in mice can lead to reliable readouts. Generally, se-fMRI could be a useful tool to characterize genetically modified mouse strains, such as mice exhibiting altered nociception. In this study, NaV1.7fl/fl:AdvCre mice were characterized with respect to neural processing of different types of peripheral stimuli and compared to a wildtype control group. Results of behavioral tests are compared to outcomes of fMRI and spectroscopic measurements. There is an increased interest in the dynamics of brain functional connectivity, as measured via temporal covariance in resting-state fMRI BOLD signal, and its aberrations in brain disorders. 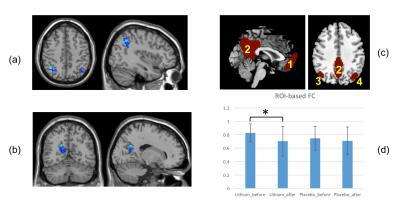 We studied and compared two measures of regional dynamic behaviour, flexibility and variability, across two datasets and show that patients diagnosed with autism spectrum disorder show increased dynamic connectional variability in several brain regions. Furthermore, we establish an interesting association between static and dynamic functional connectivity measures. 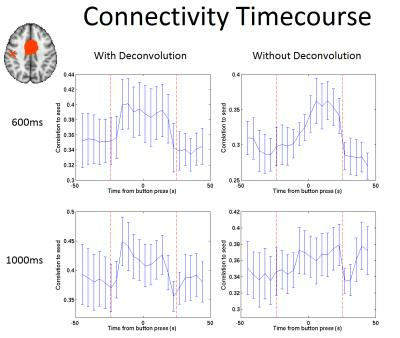 Most brain network connectivity models consider correlations between discrete-time series signals that only connect two brain regions. Here we propose a method to explore subnetwork biomarkers that are significantly distinguishable between two clinical cohorts. We construct a hypergraph by exhaustively inspecting all possible subnetworks for all subjects. The objective function of hypergraph learning is to jointly optimize the weights for all hyperedges. We deploy our method to find high order childhood autism biomarkers from rs-fMRI images. Promising results have been obtained from comprehensive evaluation on the discriminative power in diagnosis of Autism. Complex network analysis unraveled the mTBI-related functional reorganization with the disruption of long-distance connections of thalamocortical interactions and enhanced local connectivity segregation in the regions of neocortex and thalamic nuclei. 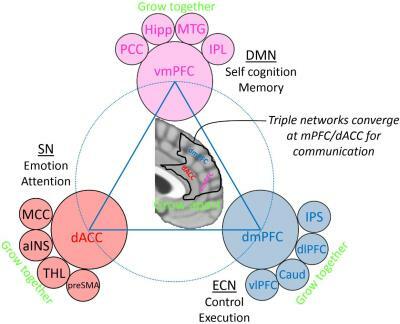 This study proposes a novel approach named “hybrid high-order FC networks” to explore the higher-level interactions among brain regions for improving the diagnosis performance of early mild cognitive impairment. We first construct the low-order network and the topographical similarity-based high-order network. With the two-level FC networks, we propose to construct a new “associated high-order network”, which is formed by estimating the higher-level interactions between the high-order sub-networks and low-order sub-networks. We further devise a multi-kernel learning strategy to integrate the dynamic networks of the three different levels. A high diagnosis accuracy of 91.5 % demonstrates effectiveness of our proposed approach. 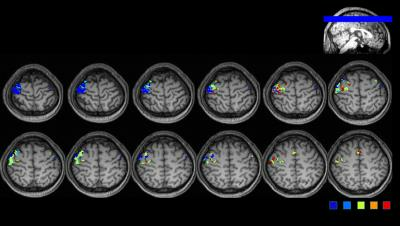 Previous fMRI studies have demonstrated a number of functional networks in the brain. 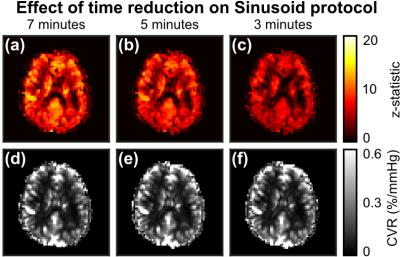 The introduction of simultaneous multi-slice (SMS)-imaging has allowed a larger volume coverage of the brain to be acquired with a shorter repetition time (TR), increasing temporal resolution so that dynamic connectivity (DC) measures are more achievable. Here, we use sub-second SMS-imaging to assess DC in sensorimotor networks during a self-paced finger tap experiment, and demonstrate changes in DC during individual button presses. 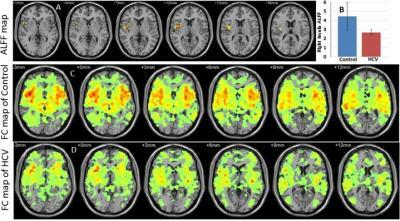 Inter-subject registration of functional MRI (fMRI) data is a key step for group analysis. Here, we propose a novel registration strategy that considers functional information from both gray matter (GM) and white matter (WM). 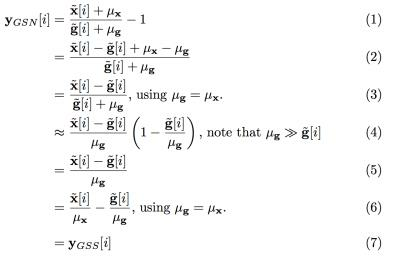 This is achieved using functional correlation tensors (FCTs), which capture the local correlation of the BOLD signals. Features extracted from both GM and WM functional correlation tensors are utilized in a multi-channel Large Deformation Diffeomorphic Metric Mapping (LDDMM) registration framework for fMRI registration. Experimental results indicate that our method can achieve better functional registration compared with state-of-the-art methods. Associations between GABAergic and glutamatergic systems and measures of brain connectivity have been reported previously. However, there is currently no evidence for associations between these systems and local connectivity measures, limiting our understanding of inhibitory/excitatory balance and connectivity across differing spatial ranges. We demonstrated that only regional connectivity and spontaneous activity, but not long-range connectivity, were associated with GABA and GABA/Glx ratio in the ACC. We suggest that this correlation between measures of intra-regional connectivity and GABA in the ACC may be driven by interneuron activity. 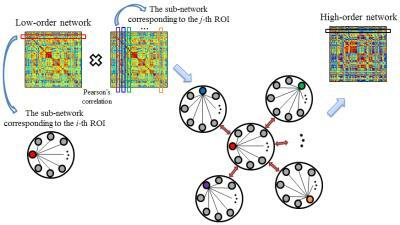 Further, associations between neurotransmitter pools and inter-regional connectivity may be region/network and context-specific. The purpose of this study was to elucidate the reciprocal effect of olfactory-visual associations on olfactory and visual processing in the human brain using fMRI. Young, cognitively healthy participants underwent 3 separate olfactory-visual association paradigms, including either neutral, semantically congruent, or semantically incongruent visual cues. The data revealed significant olfactory activation in the POC and visual areas in response to visual cues, regardless of semantic meaning (neutral, congruent, or incongruent). This reciprocally increased activation in the POC and visual cortex during olfactory-visual cue pairing and subsequent visual cue presentations may suggest an intrinsic functional mechanism for multisensory associative learning. Functional T1 relaxation in the rotating frame (fT1ρ) is a new method of functional imaging that is thought to reflect changes in brain metabolism due to pH. FT1ρ may provide a more direct measurement of neuronal activity than the blood-oxygen level dependent (BOLD) contrast that is typically used for functional imaging. 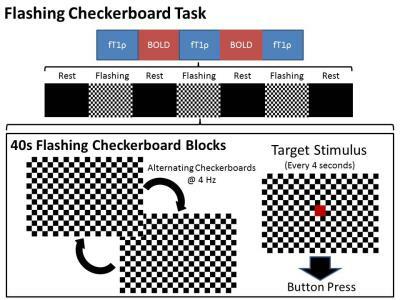 Here we applied both methods in order to study brain activation during a flashing checkerboard paradigm in participants with bipolar disorder as compared to controls. 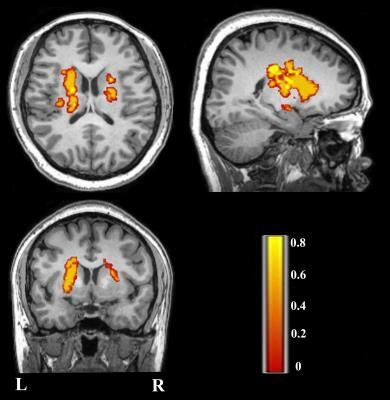 Linear mixed effect regression modeling revealed decoupling between the two imaging modalities in bipolar disorder in several brain regions.